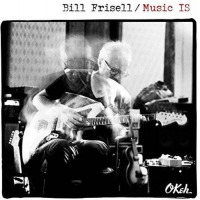 Never running the risk of excess, superfluous technical displays or musical gymnastics (despite being capable of all these things and more), Frisell has always been about saying all that needs be said, nothing more and nothing less, with Music IS' sixteen tracks running anywhere from less than a minute to over six. 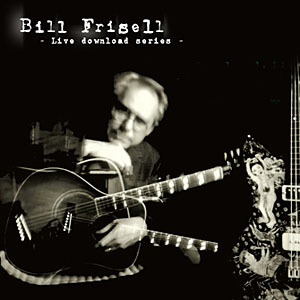 Frisell's grittily angular, jaggedly strummed and tapped "Think About It"curiously, recorded with Frisell's amplifier placed inside an old upright piano first owned by The Who's Keith Moon, then by The Band's Richard Manuel, who played it on a number of the group's hits, and ultimately with Ian McLagan (The Small Faces, The Rolling Stones)builds to a reverse-attacked density of chords and otherworldly sonics in just 59 seconds. 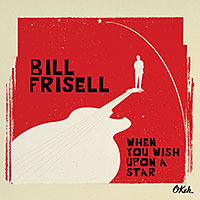 Frisell's first look at "Rambler," on the other hand, lasts for more than six-and-a-half minutes, its foundation of looped electronics a strange but ultimately astute choice for the clean-toned, suggestive electric guitar part that, as he stretches and compresses the song's familiar theme, makes unexpected leaps from low to high registers, curiously constructed voicings and on-the-go harmonic reinventions. 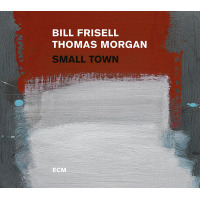 Frisell, longtime producer Lee Townsend and engineer Tucker Martinethe three, along with drummer Matt Chamberlain, responsible for two records as Floratonerecorded each track, with the trio mixing it immediately afterward. Contrasting the norm of recording an album in its entirety, followed by separate mixing sessions (sometimes a long time) later, this was one of a number of ways that Frisell, Townsend and Martine helped bolster the guitarist's relentless spontaneity. Track Listing: Pretty Stars; Winslow Homer; Change in the Air; What Do You Want? ; Thankful; Ron Carter; Think About It; In Line; Rambler; The Pioneers; Monica Jane; Miss You; Go Happy Lucky; Kentucky Derby; Made to Shine; Rambler (bonus, alternate version). 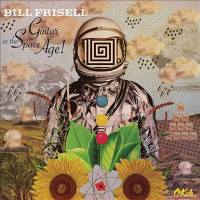 Personnel: Bill Frisell: electric & acoustic guitars, loops, bass, ukelele, music boxes.